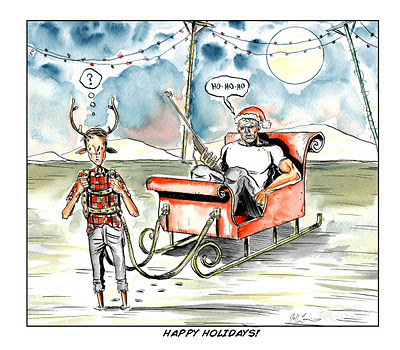 CBR picks ANIMAL MAN as the #2 Comic of 2011! Comic Book Resources has announced their top 100 Comics of 2011 and I'm proud to say that Animal Man came in at #2! "While not as splashy as some of the other big hits unleashed under the New 52 banner, Jeff Lemire and Travel Foreman have given Buddy Baker an epic landscape to operate within -- and considering the character's meta-history, beyond. Destined to crash headfirst into 'Swamp Thing' in the months ahead, Lemire is taking the superhero/horror mash-up he fleshed out in "Superboy" to another level, and that's saying something when you consider 'Superboy' was nominated for an Eisner." "Ever since Grant Morrison raised the character from a third- or fourth-tier hero into something unique, there has been a strong desire to see another strong, compelling 'Animal Man' series. This is it. Lemire's take isn't Morrisonian, but it builds the concept of a family-first superhero into something new, and takes Buddy Baker and his young daughter into some very, very dark territory." "The mix of lurching dread in Lemire's plot and gorgeously grotesque art by Foreman has surely given its fair share of readers sleepless nights. This is how you take a previously no-list character and bring him up to the big leagues." FRANKENSTEIN and SWEET TOOTH also made it in the Top 100. Thanks to all the great folks at CBR! 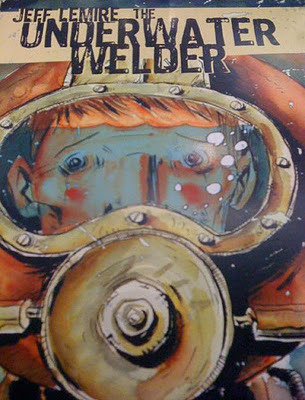 EXCLUSIVE PREVIEW OF THE UNDERWATER WELDER AT CBR! Comic Book Resources is running an exclusive 6-page preview of my upcoming graphic novel, THE UNDERWATER WELDER! There is also a new in depth interview about SWEET TOOTH, ANIMAL MAN and more! 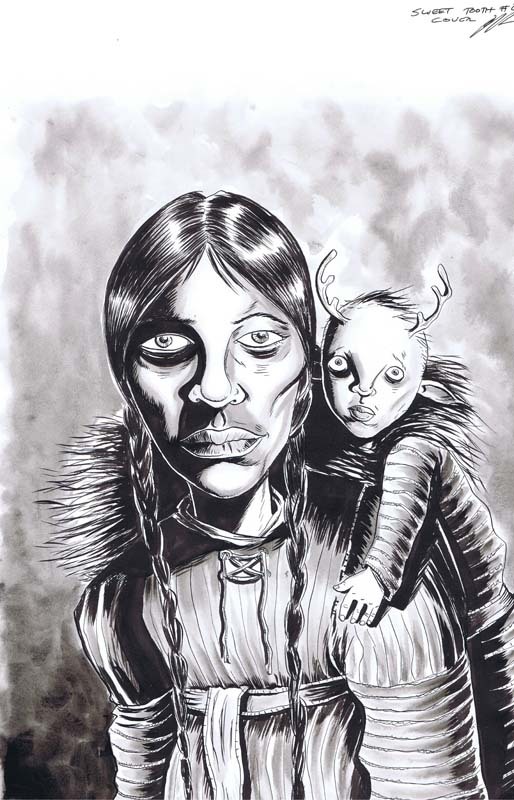 Interested in owning original artwork from Essex County, The Nobody or Sweet Tooth? I am currently working with two art dealers, both of which offer a wide variety of my work. 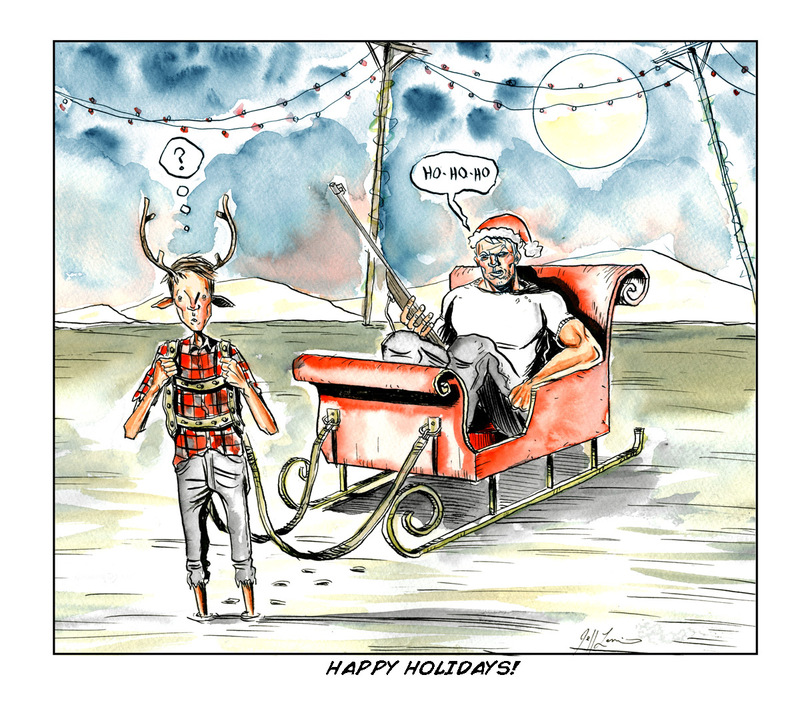 CADENCE COMIC ART has a collection of recent SWEET TOOTH art currently at discounted prices for the holiday season! 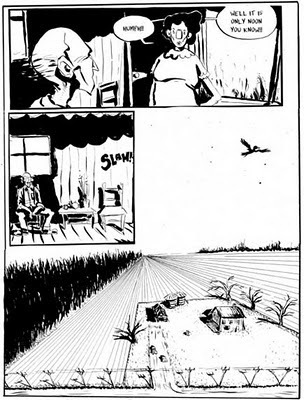 And my good friends at THE BEGUILING are selling work from ESSEX COUNTY, THE NOBODY and SWEET TOOTH. 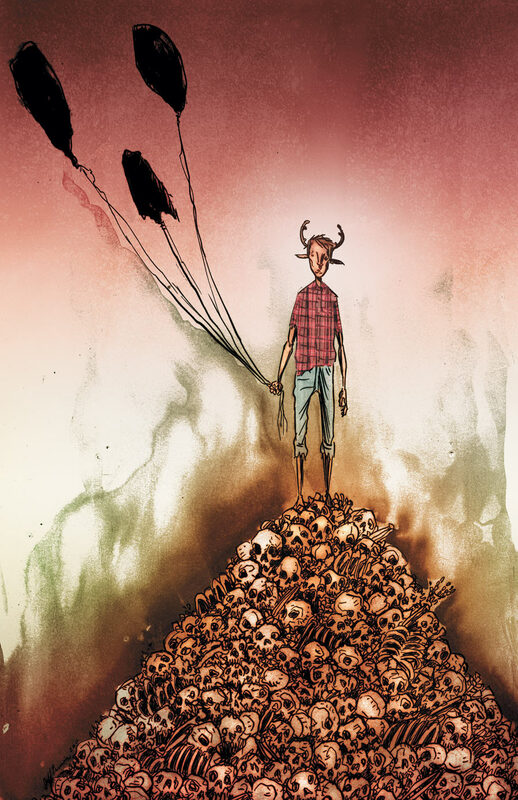 And here’s a first look at the SWEET TOOTH #29 variant cover by Jeff Lemire’s ANIMAL MAN artist Travel Foreman! Animal Man#1 Goes Back to Press for a 4th PRINTING! That’s right, ANIMAL MAN #1 goes back to press for a FOURTH printing! ANIMAL MAN written by Jeff Lemire and with art by Travel Foreman, has become one of the most acclaimed series of DC COMICS-THE NEW 52. Check out some of the praise below. If you haven’t read issue #1 yet, now you still can! And for those of you who’ve been lucky enough to get your hands on issues 1-3, pick up ANIMAL MAN issue #4 tomorrow, as the secret history of The Red is revealed! Head over to GAWKER’s IO9 for a sneak peek at ANIMAL MAN #4, in stores tomorrow.